The founder of Emily Morrow Home, Emily Morrow Finkell, has a beautiful story rooted in faith, family, resilience, and survivorship. Last October marked Emily’s 15th-year anniversary as being cancer-free. She credits her mental and physical victory over cancer to the amazing support of her family, dear friends, and community. When Emily was diagnosed with breast cancer, she was a 35-year-old single mother of two. 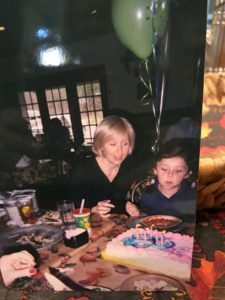 During this season, Emily balanced a demanding corporate career while caring for her young children-and herself-during the harrowing treatments. While it was the most challenging time in her life, Emily’s faith in Christ and appreciation for her family grew immensely. Emily emerged healthy and stronger than ever. To commemorate her cancer-free anniversary, Emily founded the Kiker Morrow Finkell Foundation for Cancer Care. 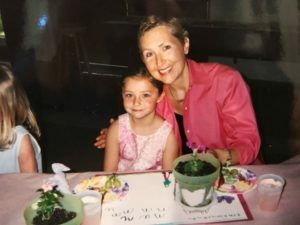 The nonprofit was established to support others battling cancer in their time of need, whether it’s receiving a makeover in the midst of chemotherapy to inspire confidence, or helping a mother provide Christmas gifts for her family as Emily’s own mother did for her. For Emily, the Foundation is about giving back in sincere and deep gratitude for the gifts she was granted. A portion of the profits from Emily Morrow Home products are donated to the Foundation, so with each purchase our customers are helping to give back as well. The Foundation embodies the heart and purpose behind Emily Morrow Home. To learn more about the Foundation, make a gift, or nominate someone you know, please contact us.